Artist INC Kansas City takes place at Mid-America Arts Alliance, located in the heart of the Crossroads Arts District. Artist INC has operated and trained artists in Kansas City for ten years and a talented cohort of artists maintains ties to the program. M-AAA strengthens and supports artists, cultural organizations, and communities throughout our region and beyond. We are especially committed to enriching the cultural life of underserved communities by providing high quality, meaningful, and accessible arts and culture programs and services. We are a nonprofit, regional arts organization—representing Arkansas, Kansas, Missouri, Nebraska, Oklahoma, and Texas—that focuses on strengthening communities and improving lives through extraordinary cultural experiences. There are currently no What Works workshops scheduled in Kansas City at this time. Artist INC is a cutting edge training seminar that addresses the specific business needs and challenges artists of all disciplines face every day. Limited to 25 participants per session, artists gather for one night a week for eight weeks to learn business skills specific to their art practice and apply those skills cooperatively with their peers. Using an innovative class design, artists learn and grow together through artist facilitator mentoring, small group application activities, as well as large group discussion and multi-media lecture. Now in its tenth year, the Artist INC workshop has been completed by more than 1,000 regional artists. Artist INC Kansas City is a program of Mid-America Arts Alliance and is supported by the National Endowment for the Arts and individuals throughout Arkansas, Kansas, Missouri, Nebraska, Oklahoma, and Texas. Applicants must complete the online application form, answer the narrative questions and submit a resume/CV and digital work samples that support their proposed project. All applications must be made online through Submittable.com during the open application period. The application deadline is Monday, January 7 at 5:00 pm. Applicants must be at least 18 years old and live within an 80 mile radius of Kansas City. Students are ineligible to apply. If you are selected to participate in Artist INC, there is a $150 fee. Even with the participant fee, the program is heavily subsidized. As a result of this subsidization, participants are required to attend all sessions of the workshop, barring illness or emergency. Please review the schedule to be sure that you are available for all of the sessions. Applicants will be notified by January 24, 2019. Beau Bledsoe performs and records classical music, jazz and folkloric music from around the world as he seeks to integrate different musical cultures with diverse audiences. Beau studied classical guitar at the UMKC Conservatory of Music with Douglas Niedt where he received a Master of Music. It was at this time that Beau met many of the musicians that he still performs with today such as violinist, Elizabeth Suh Lane, soprano, Victoria Botero, and composer/pianist, Brad Cox. He has continued his musical studies with Spanish flamenco masters Antonio Andrade and Pedro Cortes and with Portuguese fado masters António Parreira and Sidónio Pereira. 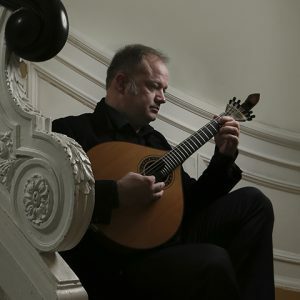 Through his many varied projects and ensembles, Beau has toured extensively throughout Europe, Russia, South America, Asia and North America in addition to producing fifteen recordings under his recording label Tzigane. Beau is currently a member of classical chamber music group, the Bach Aria Soloists and is artistic director and founder of Ensemble Ibérica which explores the music of Spain, Portugal and the colonial Americas. Chris Dahlquist learned to use a camera and darkroom as she was learning to ride a bicycle and write in cursive. Originally from Fort Worth, she wrote her first artist statement on a Big Chief Tablet in phonetic Texan, claiming for herself a life of travel and “tacking pitchers”. She has held a camera in her hands ever since. After spending the early part of her career in commercial photography and film, Dahlquist returned to her childhood proclamation and since 1998 has exhibited extensively throughout the United States. Dahlquist’s photography is in hundreds of private, corporate, and municipal collections, and has won more than 40 awards at nationally juried art fairs, including the Houston Museum of Fine Art Curatorial Award. In addition to those awards, she has been awarded an Inspiration Grant from the Metropolitan Kansas City Arts Council and a Development Grant from the Mid-America Art Alliance. Lisa Marie Evans’ work varies in form from feature length documentary films to short animation and public art installation. As a selected artist for various awards and grants, Evans participates in artist residencies and screens her work internationally, including such locales as Hungary, France, the Philippines and Canada. Evans thrives from being active within her community. She has developed curricula and taught filmmaking to all ages, served on the board for multiple film organizations, programmed documentaries for the Kansas International Film Festival, and currently facilitates professional development programs for artists with Artist INC.
Jose Faus is a native of Bogota, Colombia and a long-time Kansas City resident. He is a visual artist, performer, writer and teacher. He received degrees in Studio Art/Painting and Creative Writing/Journalism from the University of Missouri at Kansas City. 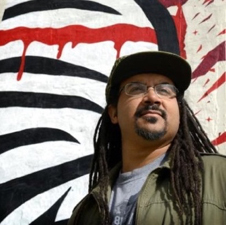 He has been involved in a series of mural projects locally and internationally and participated in a variety of community engagement projects. 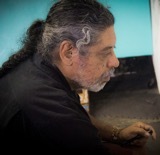 He maintains Carido Studio in downtown Kansas City, Kansas. He won the Poets & Writers Maureen Egen Writers Exchange contest for the state of Kansas. He received a Rocket Grant for the community project VOX NARRO. He is a founding member of the Latino Writers Collective and sits on the boards of UMKC Friends of the Library, Charlotte Street and is president of the board of The Writers Place. Erica Iman received her BFA in Ceramics and BSE in Art Education from the University of Missouri-Columbia in 2005 and obtained her MFA in Ceramics from Southern Illinois University-Edwardsville in 2012. Between earning her degrees she served 2 years in the U.S. Peace Corps on the Eastern Steppe of Mongolia and was a selected participant in the International Workshop for Ceramic Arts (IWCAT) in Tokoname, Japan during the summer of 2007. 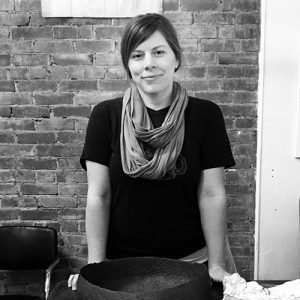 Erica has taught in various schools and community arts centers and is currently a studio artist in Kansas City and a founding member of the KC Urban Potters. She was awarded second place in the San Angelo National Ceramic Competition with the work being purchased by the San Angelo Museum of Fine Art, was selected for the 2013 NCECA Biennial Earth/Energy, and received an honorable mention in the 10th International Ceramics Competition, Mino, Japan. 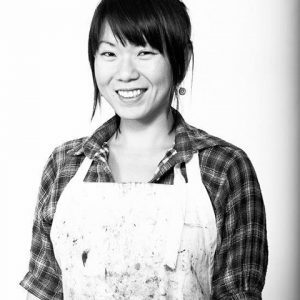 Kathy Liao currently resides in Kansas City, MO, and teaches painting and printmaking as an Assistant Professor of Art at Missouri Western State University. Drawing inspirations from her diverse cultural background and personal history, Kathy Liao mixed media work is about the intimate yet universal concept of relationships. Liao received her MFA in Painting from Boston University and BFA in Painting and Drawing from University of Washington, Seattle. Liao is a recipient of various awards including the Elizabeth Greenshield Foundation Grant, Artist Grants from Anderson Ranch Arts Center, Vermont Studio Center, and Jentel Artist Residency. In the past, Liao taught at Boston University, University of Washington, Seattle University, and Digi-Pen Institute of Technology, and Gage Academy of Art. Her works were exhibited nationally in Boston, New York, Los Angeles, Seattle, and Kansas City. Erin McGrane is a musician and songwriter; film, theater and commercial actress; and one of the co-hosts of the TV program CINEMAKC. Erin appeared in the Emmy-winning web series THE UNREAL HOUSEWIVES OF KANSAS CITY and in the Oscar-nominated film, UP IN THE AIR alongside George Clooney. She plays a lead role in the indie feature film NAILBITER and appears in numerous short films by Kansas City area filmmakers. Erin is an ArtsKC Fund Inspiration Grant recipient and a Mid-America Arts Alliance Professional Development Grant recipient. Erin is proud to be a fellow of the Artist INC program for which she currently serves as a peer facilitator and a workshop presenter. Ms. McGrane presents workshops and speaks on behalf of the Artist INC program in communities throughout the Midwest. Her current project is Victor & Penny, a prohibition-era jazz duo with Blue Man Group guitarist and KC native, Jeff Freling. Recently the duo was honored to represent Kansas City musically at a New York City press event as part the America’s Creative Crossroads campaign, “Paris of the Plains Goes to NY.” Victor & Penny were 2013 Escape To Create artists-in-residence in Seaside, FL and are currently touring the US having made over 600 public appearances and traveled over 125,000 in the last 3 years. Erin was honored in KC Magazine’s 2012 “The 100: People who make Life Better in KC.” She is proud to say she misspent her youth singing in a rock band. Phil Shafer channels his creative energy in many ways. For 15 years, he has run his successful art business Sike Style Industries while working full-time as a designer for the Kansas Life Science Research Center at the University of Kansas Medical Center. His creative practice includes fine art paintings, 2D design on walls and print graphics. Recently, his love of street art and graffiti has lead him to community engaged projects as a muralist. Murals allow Shafer to transform bland or vandalized surfaces with colorful, positive and uplifting imagery that inspire pride in the nearby communities. Shafer has been awarded commissions from: Qdoba Restaurant, the Kansas City Art in the Loop Foundation and the Kansas City Royals. He is a featured artist in the Kansas City Collection IV. He earned his BFA in Photography from the Kansas City Art Institute. When he isn’t busy making art, he can be found behind a pair of turntables rocking a party. David Wayne Reed is a writer, director, and producer from Kansas City, Missouri. Plays include: Help Yourself, Jolly Rancher, Mother Trucker, Mother Trucker 2: Ride On, Sequoia, and Peggy and Paul at the Post Office in Provincetown. 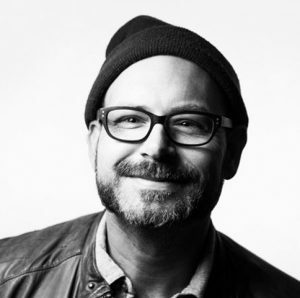 He has been awarded a Rocket Grant from the Andy Warhol Foundation for the Visual Arts, Charlotte Street Foundation, and Spencer Museum of Art, two Inspiration Grants from Arts KC, has won multiple Best of Awards from the Pitch Weekly, and has been Writer-In-Residence at Charlotte Street and Escape to Create. His early career as a founding member of Late Night Theatre is part of the permanent collection of the Gay and Lesbian Archives of Mid-America (GLAMA) at University of Missouri-Kansas City. He hosts and produces the popular ‘show and tell’ storytelling series, Shelf Life. His debut film, Eternal Harvest premiered May 13, 2018.